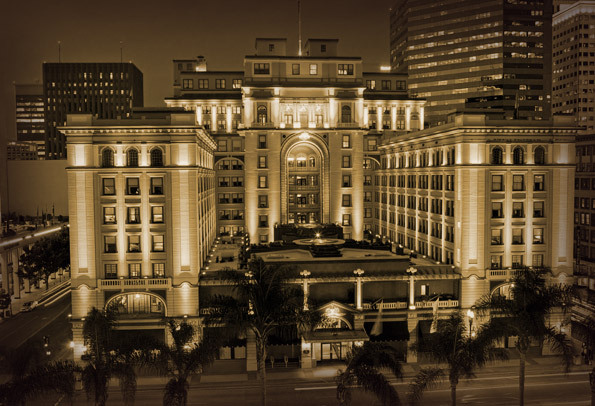 Opening in 1910, the US Grant Hotel is on the National Register of Historic Places. 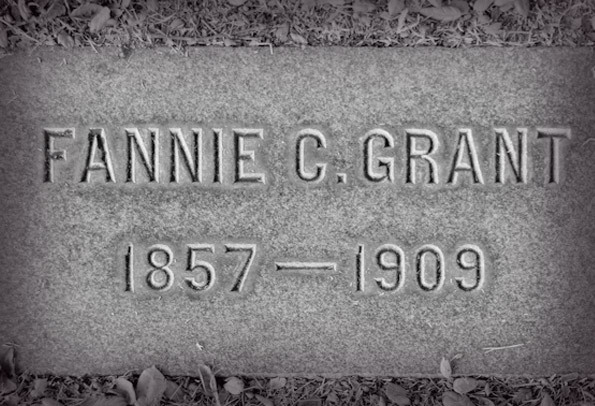 It is said that the ghost of Fannie Chaffee Grant haunts the US Grant Hotel to this day. Her husband, Ulysses S. Grant, Jr. built the hotel and remarried shortly after his death. Fannie’s ghost is said to be unhappy with her husband’s remarriage so soon after her death. Built in the early part of the 20th century, the hotel was so famous during its heyday that it welcomed guests like Charles Lindbergh and Albert Einstein. 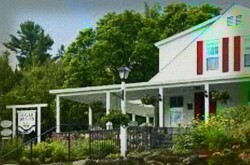 The hotel’s popularity grew after it added a bar and restaurant in the 1950s, which became something of a boys’ club due to its males only policy. 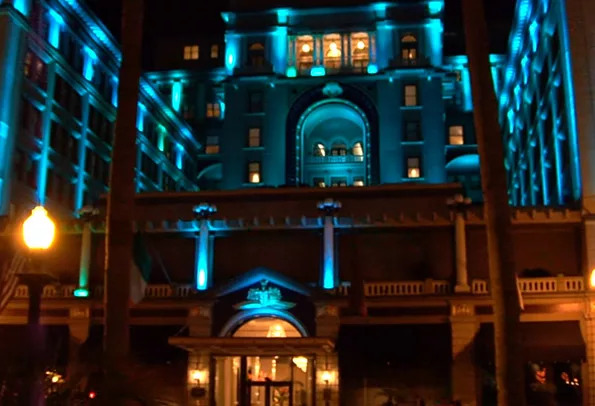 Named for Ulysses S. Grant, the haunted hotel has a local reputation for both Chaffee Grant and other ghosts prowling the property. 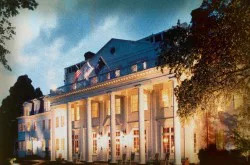 Many stories of its haunted past date back to shortly after Ulysses S. Grant, Jr and his new wife moved into the hotel. 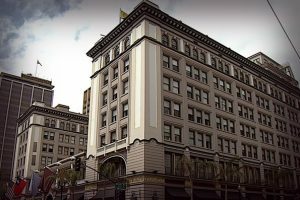 As the owners of the hotel lacked the funds necessary to update the building, the hotel became known as a cheap place to stay and live, which led to fewer famous guests and more transients and people down on their luck. New owners and massive renovations helped bring the old hotel into the modern era. 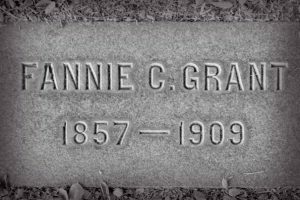 Fannie Grant was so proud of her husband that she worked with him to find an architect and secure financing for its construction. Less than one year after the hotel opened, she passed away. That might be the end of her story, if not for what happened just a few months later. Grant, Junior not only remarried but decided to move into the hotel and bring his new wife. Fannie almost instantly started haunting the hotel, and guests still see her clad in an old-fashioned white dress walking through the halls. Fannie’s apparition has been seen wandering the halls and things are moved or disappear quickly when you’re not looking. Strange phenomena that everyone attributes to ghostly activity. Those with the best stories are often the employees of the hotel. Housekeepers often have issues with items moving on their own. They can lay down cleaning supplies and turn around seconds later to see the items gone or on the opposite side of the room. Some workers also heard footsteps and crashes coming from rooms that were unoccupied. The ghost of a man has appeared in front of people’s beds. On one occasion, 2 different guests staying in different rooms awoke to a man standing at the foot of each of their beds just before an earthquake struck the San Diego area. They both happened to run into each other the next day and both had the same story. A large stocky man with gray hair wearing a black suite was looming over them. Then in the blink of an eye he was gone. 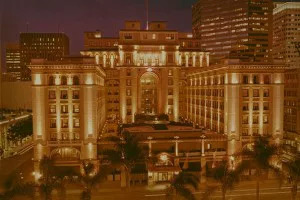 Flickering lights are common in old buildings, but despite massive renovations, lights in the Grant still mysteriously turn on and off throughout the day with no explanation. 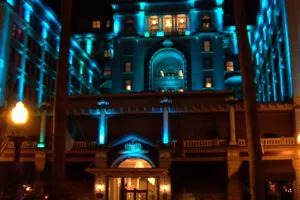 Guests hoping to see all the classic elements of a haunting and maybe even see a specter or two should book a room at the Grant Hotel. The 5th Floor has been reported is where people have seen a man’s apparition standing over their bed. The ballroom has had many reportings of things moving or disappearing. The staff won’t go in the ballroom alone. Hallways have cold spots and the ghost of Fannie Chaffey has been seen roaming the halls. 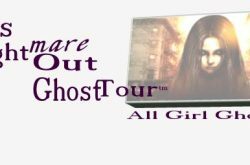 My Brush with the Paranormal – Reflections! I recall getting to my room and unpacking a few things. I set my computer cord on the T.V. stand and started walking into the bathroom when I heard the cord drop on the floor – again, I got that eerie feeling but didn’t think anything about it. Nothing else happened during my stay but I did get the sense that something wasn’t right while I was there. 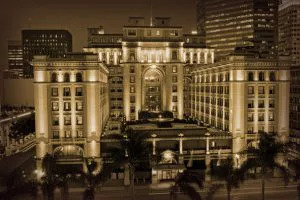 Beautiful hotel – exceptional staff.